This is a simple formative check for understanding when teaching the Roles of the President. 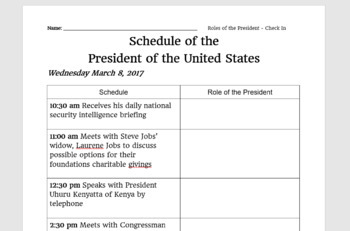 It is an actual day in the life of the President, taken from the White House official schedule. Answers are included.